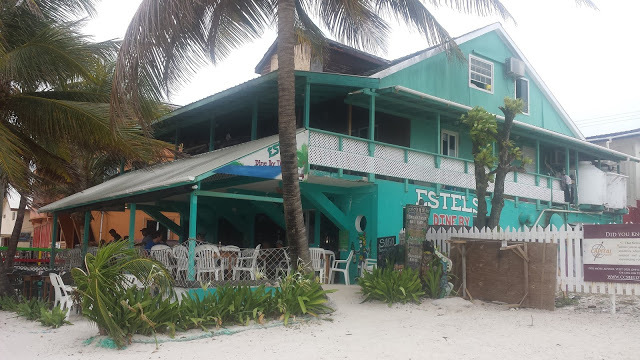 Home » Belize Travel Blog » Around AC » Just One Recipe for Three Perfect Days on Ambergris Caye! 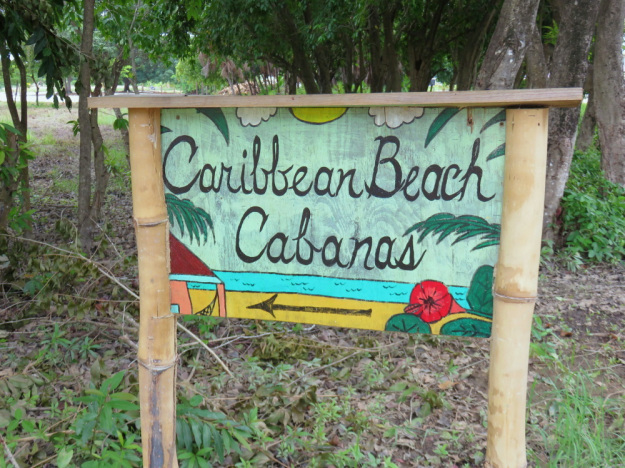 I met Laura and her husband in Placencia last November…they were just opening up Caribbean Beach Cabanas – a super cute (I MEAN CUTE) resort they bought on a gorgeous stretch of beach in Placencia Village. 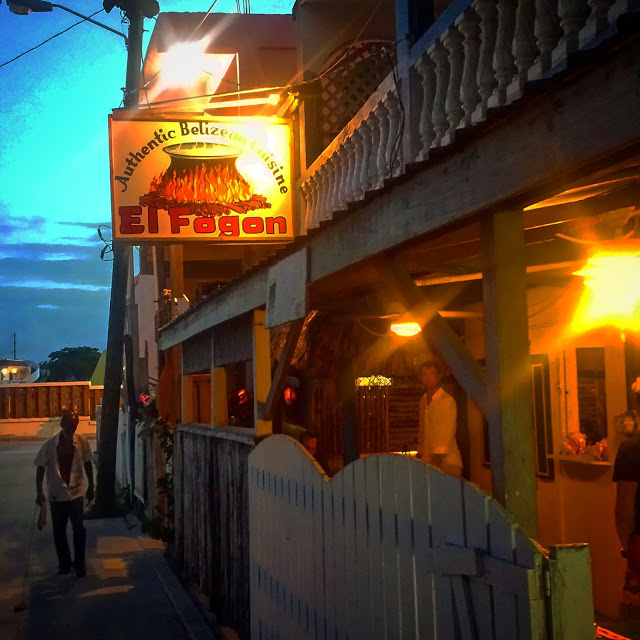 She also writes an amazing blog about her Ohio to Placencia experience. Pure Placencia. 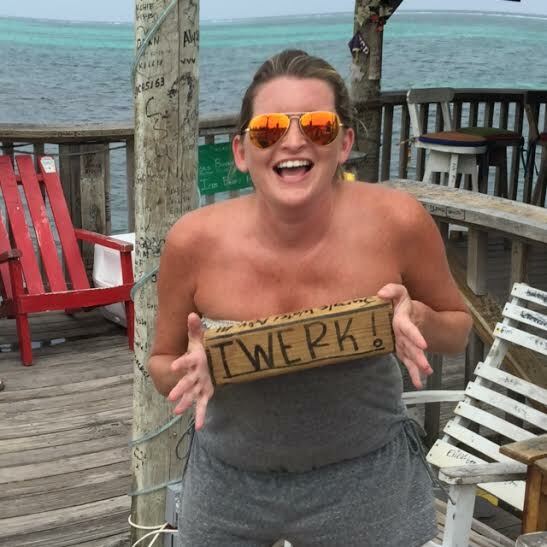 And now she is guest posting for me about the Placencia to Ambergris Caye experience. Eeek! I hope she likes it. Oh yes…everyone does. Thanks Laura! We took Tropic Air from Placencia to Belize City, which if you get Taco Girl’s code, you can get 10% off–it is under $100us. 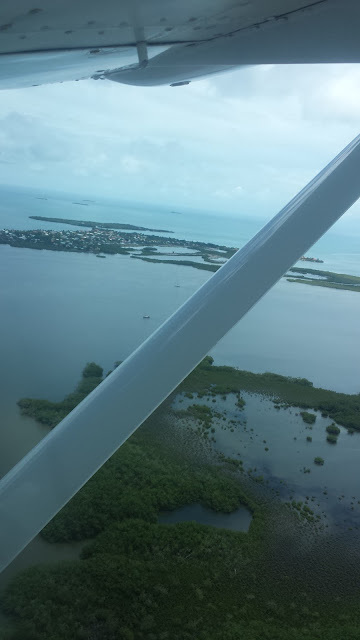 We decided to save some money and take the water taxi from Belize City, and we learned that you should fly into the Municipal airport as it saves money and time. 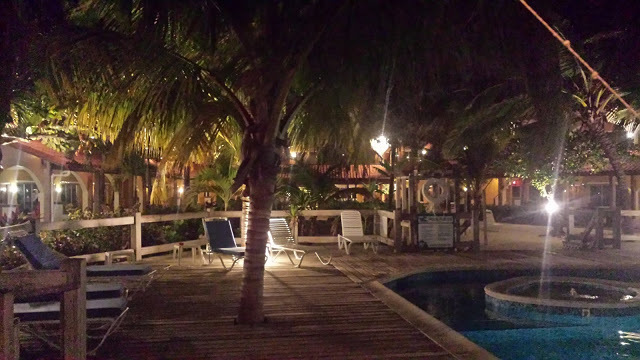 We stayed at Oasis Del Caribe, a nice condo complex with a pool, walking distance to everything in San Pedro. The first night, we ate at Wild Mango’s, where I highly recommend the appetizers–we shared a bunch of them and they were all fantastic. 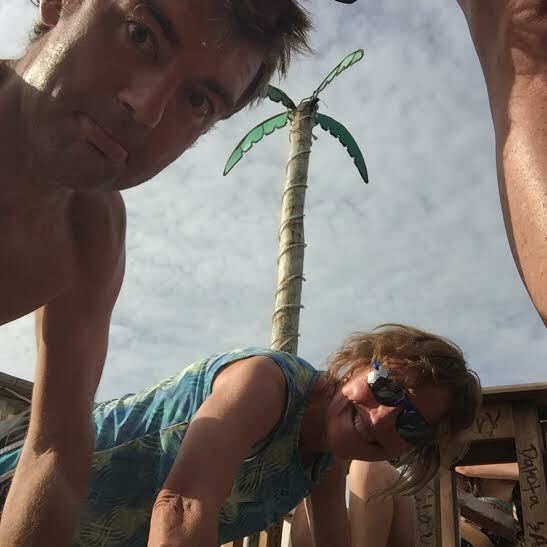 Because it is slow season, there wasn’t a whole lot of action, but we found some fun at Palapa Bar. On the way back, we must have looked sad and lost as we got picked up on a golf cart by a lovely expat, who then joined us for drinks at Fidos. 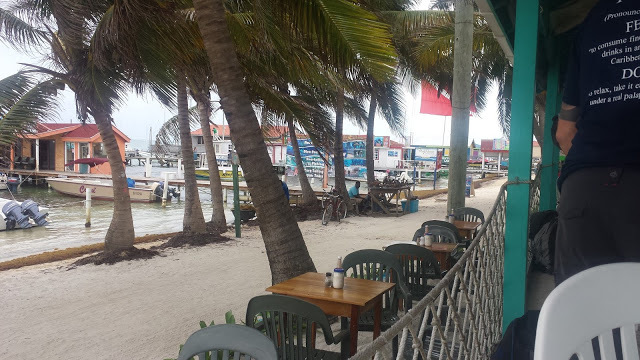 (this is one of the joys of Belize–the warmth and friendliness of the people!) 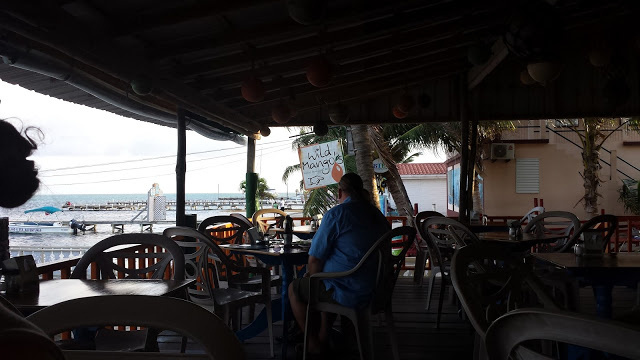 We learned there, one difference between San Pedro and Placencia….Placencia is a happy hour place, everyone is usually in bed by 10 :)…..we were told in San Pedro, action doesn’t start happening until 10! 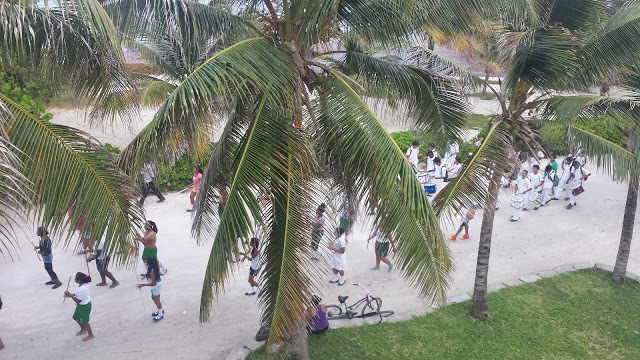 We enjoyed the pool–the sargassum was still pretty bad on the beaches, but I have heard that it is better now. 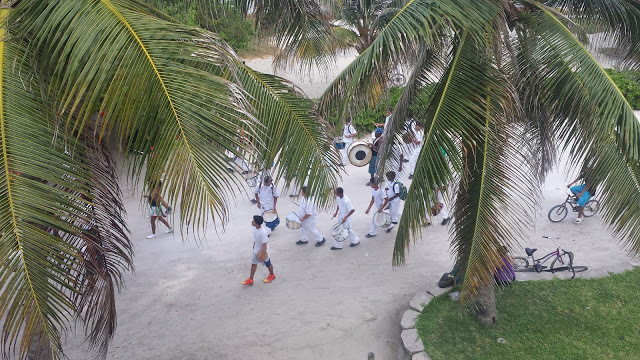 We were treated to an adorable street parade of local kids, another thing to love about Belize…random things like this happen far more often than they should! We had a golf cart and tried to drive to the casino in Captain Morgan’s, but found that they were closed for renovations. Loved the new paved road north of the bridge! 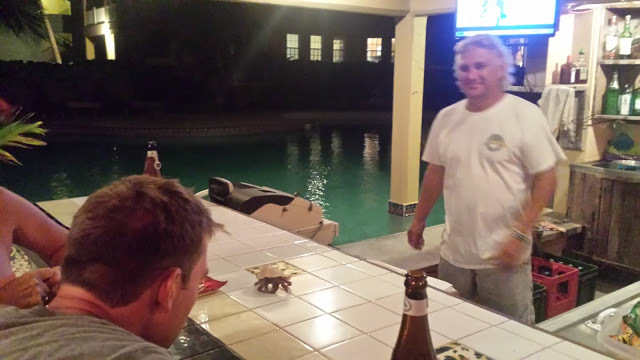 We stopped at Coco Loco’s pool bar instead and had a great time. Our friends also went out snorkeling, and one huge benefit of Ambergris is that you can take a couple hour snorkel for around $40us, and get back and have the rest of your day. In Placencia the excursions are usually full day as it is a longer trip. We went with Ecologic Divers and they were great. This dare speaks for itself. 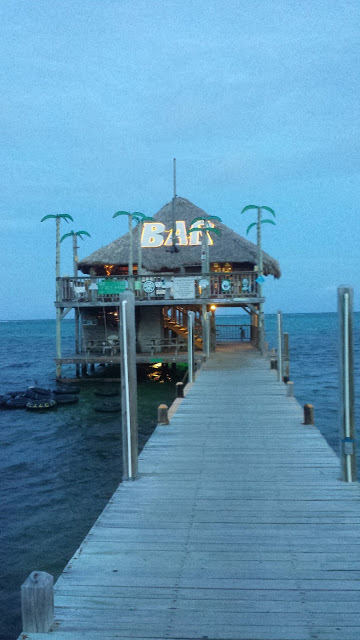 Our last dinner we went to Blue Water Grill…..Yum! I highly recommend the sushi…all of it….amazing! 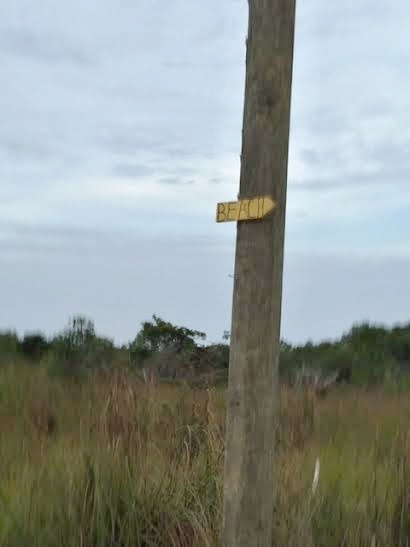 Great views of the lovely property and the ocean too. Not a bad dining view! We had such a great time that we are already planning another trip in November!! THANKS SO MUCH LAURA. Your trip inspires me to head back to Placencia SOON! I love your town too…and have been gone for much too long.